Boordy Vineyards, in Maryland, was the brain/lovechild of founders Philip and Jocelyn Wagner, who operated Boordy nursery in the 1930’s and introduced new varieties of French hybrid grapevines throughout the United States. Philip Wagner was almost singehandledly responsible for helping to sustain an east coast winemaking tradition, when many wine growers were ready to leave the region for dead. He was a staunch advocate for east coast winemaking - and french-American hybrids. The Wagners established Maryland’s first commercial winery in 1945. Few people today, especially in the eastern wine business, realize the debt we all owe to Mr. Wagner. His winery was cutting edge in its day, and they was one of the loudest, strongest voices in wine fore more then three or four decades. As all things must happen, the winery eventually stumbled. Newer, younger winemakers take hold. The new becomes the old...real fast...especially in America. The R. B. Deford family has owned the winery since 1980. Rob Deford, who received formal training in oenology at the University of California, Davis, manages Boordy with his wife, Julie, a graduate of the Maryland Institute of Art. Boordy’s winemaker since 1986 is Tom Burns. In the last ten years they have upgraded and extended their plantings, and in the last four to five years they have completely transformed the winery, the wine, and their labels. What results is the classic major regional winery dedicated to quality and local involvement. And they are also business minded enough that while they drive a large amount of business form their winery operation, they have exceptional penetration into the liquor store market, one of the few wineries that have made friends with wholesalers, as their product can be found in almost every Maryland wine and spirits shoppe. They have selected their wines into two groups - fine wines, and "just for fun wines." This addresses the needs of regional wineries who want to make fine wines, but face the need to develop more fun styled wines for popular consumption, greater volume, and wider distribution. From the Landmark Series, their Chardonnay was a shocker. Clean, crisp. Half naked chard; half oaked chard, the hint of oak was nice without overpowering. Excellent. The Syrah was a big red wine. Deep purple. Very dry. Made from California grapes, but made by them. Eisling, Sweet Riesling Reserve was an incredible success as a dessert wine. Sweet with honey and apple and apricot, it also had enough acidity to balance it out. Very nice. Not too sweet. Perfect. From the Icons of Maryland Series we loved their Seyval-Vidal-Chardonnay which Dominique both thought was refreshing and clean. The blush was lovely. The Riesling was also extremely nice. From their Just for Fun wine series we liked the Wassail (which is an old Boordy favorite), and the Chilled Apple. The DeFords and Mr. Burns have succeeded in not only saving a landmark in and of itself, but have excelled at advancing the business of the regional winery. They are a model for others to look at. Congratulations to them. And congratulations to us...that Boordy's is a strong and vibrant player in this new century, just as it was in the last. A good friend of mine, Bill Luckey, a New York native of many years, and a long time friend, and I happily found our way down to Vintage New York not long ago. We needed to kill some time before a formal event late in the city in late December. I told Bill I knew just the place. We started off with the 2000 Chateau Franc Blanc de Blanc from the Finger Lakes. It was dry, fresh, and effervescent. It had a touch of citrus and lovely floral qualities. It's not inexpensive, but it is worth every penny. Our next favorite among many was the 2006 Vineyard 48 Sauvignon Blanc from Long Island. As advertised, it was "zesty, vibrant, and clean." A lovely touch of lemon. Extremely nice! A new favorite! Another stunner was the 2004 Paumanok Assemblage from Long Island. Big plums and dark berries. Nice hints of toast and vanilla. A blend of Merlot and Cabernet Sauvignon, this is a big, sophisticated red wine. We left the shop feeling warm inside, bracing ourselves against the cold winter night, scarves, gloves, top coats, and bags of wine. We carefully and nervously handed over our bags of loot to the coat check person at our event, ever mindful to retrieve them when we left. And I brought them happily home to Dominique, who arched her eyebrow when I arrived late and with wine in hand. All three can be found at Vintage New York. Enjoy! First, let me say, that I do not know Richard Leahy. He is not an old pal, nor a another wine insider I am secretly corresponding with. There is no back to scratch here. Richard Leahy is the East Coast Editor and Director of Eastern Programs for Vineyard & Winery Management magazine, a leading wine industry trade journal for North America. He coordinates the seminar program for Wineries Unlimited, the largest trade show for the wine industry in the East, and also coordinates the International Eastern Wine Competition, one of the oldest and largest in the country. Mr. Leahy was also the Executive Director for the Virginia Wine Experience in London, which brought the top Virginia wines to serve for leading British wine media and trade in May 2007, to celebrate the 400th anniversary of the founding of the Jamestown settlement. Mr. Leahy is currently enrolled in the Second Year program for the Institute of Masters of Wine. Other writing credentials include being a regional editor for Kevin Zraly's American Wine Guide, 2nd edition (2007); being Mid-Atlantic and Southern Editor for the Oxford Companion to the Wines of North America, (2000) and short pieces on wineries of eastern North America in Decanter. Mr. Leahy has been a judge in the International Eastern Wine Competition, the Grand Harvest Awards, and regional competitions in the Mid-Atlantic, and was invited to participate in the Master Napa Valley program in September 2004, designed for the industry's most promising wine professionals. A graduate of William and Mary, Mr. Leahy also holds a Master's degree from the University of Virginia and lives in Charlottesville, VA.
All this said, it is important to note that Richard Leahy has been and is one of the single greatest promoters of East Coast wines in North America (along with Howard G. Goldberg), and is the leading voice for the wine movement on the East Coast. As the East Coast has now become a sizeable and recognizeable wine region, in and of itself, there is no singular voice that unites all the different states, New York, Virginia, Pennsylavania, Maryland, etc. like Mr. Leahy. While it is good that the wineries are involved in their wine trails, and their regions (the Valleys and AVAs, etc.) and their state pride, eventually, for these wineries, and for the East Coast to gain the reputations they need to get to the next level, it will take someone who can speak with one voice for the region. That voice right now belongs to Mr. Leahy. He has the bully pulpit of his magazine column, and his position within the industry. As someone who believes in the East Coast as a region, as big and diverse as California, I think it is important to note that Mr. Leahy has that vision as no one else. And no one is articulating it as he is. And we should all be greatful he does. And he is someone to be watched. The East Coast is something to be watched. Vineyard and Winery Management magazine placed Vineland Estate Winery on the cover of the Novemeber/December issue. Always one of my favorite Canadian wineries, I thought it would be a great idea to feature a winery from up north way...especially with the winter wonderland of Decemeber, January and February approaching. Situated on the slopes of the Niagara Escarpment with Lake Ontario in the distance, Vineland Estates Winery has been consistently among the best of Niagara's premium wineries. In 1979 fifty acres of the 75 acre Estate were planted with German Riesling vines. Established on a homestead dating back to 1845, the Estate, while utilizing many of the original historic buildings has evolved into a world class winery and restaurant. 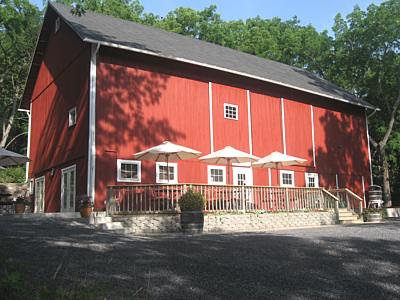 Vineland Estates Winery can lay claim to having one of the best locations for growing grapes. The slopes of our new vineyards are perfect for our recent plantings of Cabernet Sauvignon, Merlot, Cabernet Franc, Pinot Gris and Pinot Blanc vines, imported directly from French nurseries. 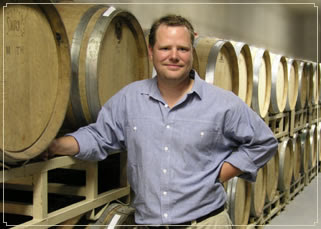 Brian Schmidt is the resident winemaker. He was raised on his family's vineyard in British Columbia. The Schmidt family was one of the founding families in the Okanagan Wine Industry and this was the foundation of Brian's interest in winemaking. Brian traveled extensively throughout Europe, studying winemaking and the winemaking process. In 1991, Brian traveled to Ontario to train with his brother Allan, who was the original Winemaker at Vineland Estates. Brian took over as Winemaker of Vineland Estates Winery in 1994 and has consistently produced Award Winning Wines that have garnered national and international attention. This is a beautiful winery, with gorgeous buildings and marvelous vineyards. And they make lovely wines! 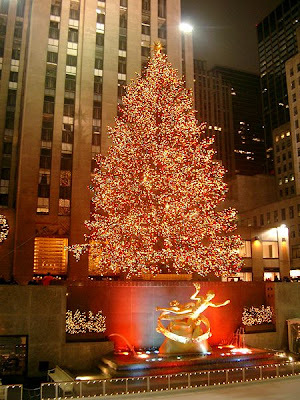 If you're going anywhere near the region for the holidays, as many do, why not stop there? You won't be sorry you did. A 7-foot ice bar will be located in front of the Village Vineyard Wine Boutique on Center Street, according to a release from the chamber. It will feature complimentary wine tasting from the wineries along the Niagara Wine Trail. As it expands, the wine trail has been featured more prominently in village events recently. “Not just locally but nationwide people are really interested in agro-tourism and wineries,” Hays-Mies said. Oscar Vizcarra, president of the wine trail and also owner of Becker Farms and Vizcarra Vineyard in Gasport, said the village is ripe for increasing the wine trail’s visibility. The Christmas Walk also coincides with the wine trail’s Holiday Happening event, from 10 a.m. to 6 p.m. on Saturday and noon to 6 p.m. on Sunday. People can stop at each winery on the trail and collect a commemorative wine glass and ornament at each winery. Come out and celebrate our Holiday Open House! There will be Wine Tastings, New Releases and Special Discounts on Wines and Gourmet Gift Baskets. Personalized Wine Label Service is Available! Time: Friday and Saturday 11a.m. - 6 p.m. 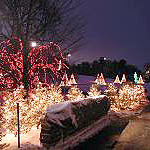 Select from an array of wreaths, swags and trees while enjoying a bon fire, hot mulled wine, and hayrides for the kids. Complimentary admission. 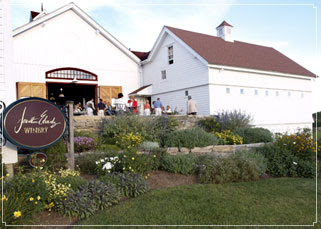 Visit www.cwklaywinery.com for the most up-to-date listing of our special events. Join us for a Wine Tasting in Riedel Crystal. Includes: 90 minute tasting workshop; a tasting of 4 premium Crossing Vineyards' wines; a tasting kit with 4 Riedel Vinum series glasses (Retail value $125); 20% off any Riedel purchase. Time:11 a.m. – 4 p.m.
Popular carols, holiday food favorites, wine tasting and activities for kids of all ages make this afternoon an old-fashioned Christmas homecoming. Be sure to bring your Christmas list and select from an array of holiday gift ideas, including beautiful wine and gourmet food baskets, giftware, and custom labels. Complimentary admission. Come see the winery in its holiday finery, laden with great wine gifts for everyone. Make shopping fun with tasting, hot mulled wines, holiday sweets and live carolers. Mark your calendar to relax and enjoy the holiday season with us. Bring your friends to sample our vast array of wines, enjoy hors d'ouuvres, our spiced hot mulled wine and share in our warm holiday cheer. Time: 11 a.m. - 6 p.m.
For more information contact the winery are 724-253-3700, or email to wilhelm3700@alltel.net. Come on out! We are decorated and dressed for the season, we're ready to help you select the perfect wine for dining or gift giving. Sample some of our famous homemade fruitcake and mulled wine too! Free! Mark your calendars to celebrate the holidays with Clover HIll Vineyards & Winery! Visit either the Winery in Breinigsvielle or the Vineyard in Robesonia to start your holiday shopping! Each location will have special wine tasting, wine and food pairing, and great holiday gift giving ideas. Craig Thatcher will be playing at the Winery in Breinigsville from 1-5pm both days. Reservations are not required. Happy Holidays! Take a break from the hustle and bustle with a romantic, candlelit evening of Christmas music. Guaranteed to put even Scrooge in the holiday spirit. A great gift idea! Stock your wine cellar. Shop for one-of-a-kind gifts. Come out and learn about wine and have fun!! Cost: $25 per person. Includes instruction, wine tasting, cheese and fruit. 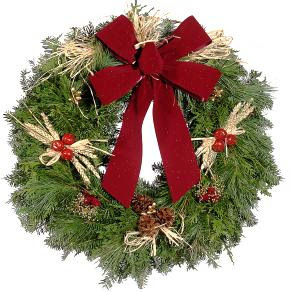 Join us for a fun evening of Christmas favorites and original holiday music featuring The Eric Mintel Jazz Quartet. Includes hot mulled wine anc Christmas cookies. Lots of fun doings in Virginia from now until New Years. See below for some fun destinations and events! mulled wine, taste seasonal snacks and purchase gifts for the wine lovers on your holiday gift list. Free. 11am-5pm. Rivanna). Items to nibble will be available. Free admission. 11am-5pm. Join us for hot soup and Horton Norton Chili. Browse for gifts for the wine lover. Take a stroll through the vineyard and walk off some of that Thanksgiving feast. Stock up on wine for the Holiday season with special discounts on our award winning wines. $5/person includes glass. Come join us by the fire and taste warm Cinfulious (apple cinnamon) wine and cider in the wine tasting room. Gift packs of the many beautiful bottles of wine and canned products will make wonderful Christmas gifts. Noon-5pm. Capture the beauty and magic of wine country during the winter months. Offering Special wine tastings and champagne tastings at select wineries this month! Wine, Gifts and Cookies! Save the date for our second annual holiday open house. Purchase Green Springs Wine for all your holiday gifts. 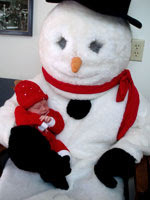 Check out the holiday specials,gifts and local crafts. Enjoy a glass of wine and handmade cookies by the fire while you take care of all your holiday shopping! Light fare available, no RSVP necessary. 10am- 6pm. nibble will be available. Free admission. 11am-5pm. See the world’s largest cork Christmas display containing over 50,000 corks and complete with a ten-foot Christmas tree. Enjoy spectacular holiday foods and wine! Collect the 13th in a series of unique holiday glasses. This event is a Gray Ghost favorite! $15 per person includes food, wine and collectable holiday glass. 11am-5pm. Hot and cold hors d'oeuvres are served in front of an open fire. Come browse our holiday gift selections and watch the train encircle our Christmas tree. Admission is free. 11am-5pm. Shenandoah Valley Wine Growers Association Venues and to sign-up visit our website. pruners! $40 per person. Reservations required, 540-832-3824. Noon-3pm. Barrel Tasting of the new vintage with complementary minestrone soup. Taste our entire selection of wine for the holiday gifts including our sparkling wine. Light picnic fare available. 10am-5pm. Join Breaux Vineyards for a Holiday open house complete with light fare, mulled wine and discounts on holiday gifts and our award-winning wines! Gift certificates, wooden wine boxes and library wines available. Unique items for the wine lover on your list are in ample supply. Free. 11am-5pm. In December we celebrate the holiday season with refreshments, tours, tastings (including mulled wine), and special holiday wine and gift specials. Our gift shop has been called the best at a Virginia winery. Sat, 10am-5pm. Sun, noon-5pm. Share holiday cheer by decorating our christmas trees with your historic themed ornament and receive a free tasting of our award-winning wines. (one free tasting per ornament please) Member of The Blue Ridge WineWay. 11am-6pm. wine bottle purchases. Enjoy a wine tasting and a warm hearth to kick your legs up on. 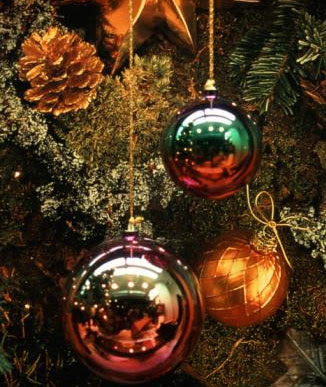 Celebrate the holiday season at Woodland Vineyard. Join us for wine tasting, light hors d’oeuvres, our signature mulled wine and holiday cheer! We also have hot cider and cookies for the kids. Noon-5pm. mulled wine. We’ll show you how our wines pair with foods. Lots of Holiday spirit. Find a unique gift for someone special from our gift shop or wine selection. Included logo glass. Saturday 11am-5pm, Sunday open 1-5pm. offer the opportunity to avoid the crowds and sample some of Virginia’s best wines while doing your shopping. Snacks will be available and we will offer special holiday discounts. Oakencroft is the closest winery to Charlottesville and The University of Virginia. 11am-5pm. Come share the joy of the season with Pearmund Cellars. Offering superior awardwinning wines and savory hors d'oeuvres while shopping for that special wine lover gift. You can’t go wrong with a gift in hand of Pearmund Cellars wine. Let our knowledgeable friendly staff assist you. 11am-5pm. ‘Tis the season for celebrating with friends, family and of course our seasonal wines. Who is naughty and who is nice? Find those perfect last minute gifts, taste our award-winning wines, and visit with special craft vendors to pick up some unique Holiday gifts. Stock up on wine, gifts and especially, holiday cheer! 11am-5pm. Help us celebrate and bring light into the longest nights of the year by lighting the great bonfire on a late winter’s afternoon. Warm yourself around the stone fire pit while sampling our authentic German Gluehwein with traditional German cookies. Gourmet light fare specials and homemade soup available. Snow, rain, or shine. Hopefully snow. A wonderful pre-Christmas festivity. soon). Come in and groove as well as hunting down some unique gifts. $10/person. Spoil yourself this holiday season. 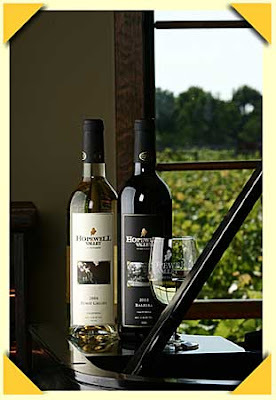 Sample award-winning wines; tour, listen to live music and shop for those on your gift list. Christmas gift baskets available. Tasting Fees: $4.50/includes souvenir glass. Food: Light fare, i.e. cheese & crackers. 11:30am-5pm. Our wine cave, 60 ft. under the vineyard, is decorated for the holidays. Bring your out of town guests for this neat event. Special wines from our ‘wine library’ will also be available this weekend only, so if you have been looking for that wine you loved but cannot get any more, try this weekend. before the New Year? Then stop by at James River Cellars as you sample our awardwinning wines and restock before the new year. Perfect indoor ambience sets the scene for a warm and cozy Winter Season Wine Tasting. 11am-5pm. with us at Palladio Restaurant. Enjoy a five-course dinner prepared by Chef Melissa Close and expertly paired with six Barboursville wines. Reservations required, 7:30pm-Midnight. It has been a great year for New Jersey wineries, with dozens of Gold medals won at prestigious national and international wine competitions, with the opening of new wineries, with the continued recognition of New Jersey as the fifth largest wine producing state in the country and, to top it all off -- an outstanding harvest. To celebrate, New Jersey wineries will be holding a Holiday Wine Trail Weekend, Friday, Saturday and Sunday, November 24th, 25th, & 26th, from Noon to 5:00 p.m. and all are invited to attend. The weekend will offer visitors a chance to learn more about wine, wine tasting, and wine making; as well as the opportunity to stock up on award-winning wines for the holidays. Participating wineries will offer wine cellar tours, food that can be sampled with the wines, a gift to all who attend, and more. The event is free at all but two wineries and takes place on New Jersey’s Wine Trails, which are day trips to several wineries. 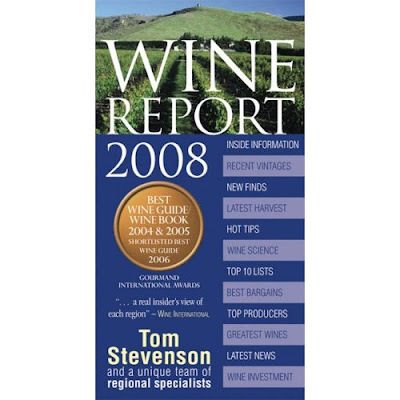 NEW YORK WINERIES once again got great ratings in Tom Stevenson’s Wine Report 2008, with the “Atlantic Northeast” section created by Sandra Silfven of the Detroit News. For the fourth year in a row, Dr. Konstantin Frank’s Vinifera Wine Cellars was #1 among the “Greatest Wine Producers”, with all four of the top five also from New York (Bedell, Wolffer, Lenz and Paumanok) followed by L. Mawby (MI), Linden (VA), Barboursville (VA), Chaddsford (PA) and Sakonnet (RI). Among the “Fastest-Improving Producers” were Heron Hill (#1) and Anthony Road (#3); “New Up-and-Coming Producers” included Thirsty Owl ((#4); and “Best-Value Producers” had Fox run (#2) and Lakewood (#4). In the “Most Exciting or Unusual Finds” category, the top five were from New York : Chateau Frank Blanc de Blancs 1999, Martini-Reinhardt Selection Riesling 2005, Taste White 2005 from Bedell, Meritage 2005 from Ravines, and Meditazione 2004 from Channing Daughters. While New York made a strong showing in the book, equally exciting is the fact that so many wineries in so many states are making exceptional wines as well. Wine—the all-American art form. The week of Thanksgiving, one of the Maryland Wineries Association’s newest vineyards, Dove Valley, will host its grand opening in Rising Sun. Nine years ago Harry Hepbron discovered wild grape vines, nearby a farm he had recently purchased. He turned to his wife and children and said “I bet you that soil is great for grapes.” Sure enough, Hepbron found out he was right after having the soil tested. After Hepbron realized he wanted to cultivate a vineyard, he interest was to educate his own family including his wife, three sons, daughter and grandchildren. “This has become very hands on,” his daughter Janel Griffith said, “We are learning everyday, as a family, how to maintain, harvest and make wine.” Although he grew up on a farm and has a background in agriculture, Hepbron attended a wine school in New Jersey to gain a better understanding of how to open and run a vineyard and winery. For eight years now, grapes have been planted in the ground. Fortunately enough, a couple of years ago, Dove Valley was able to sell their grapes to other Maryland Wineries. “By selling our harvest, we are able to gain some profit to put back into planting and growing,” Griffith said. After years of growing and preserving the land, Dove Valley wine is ready to be sold. “We are excited to be the first licensed winery in Cecil County,” Griffith said. The winery has eight different varieties of wine, including Cabernet Franc, Vignoles, Rose, and two Dove Valley blends. The family hopes their wine will spark the interest of the local people, farmers, and tourism too. The wine is made and kept in the air tight, temperature controlled basement. “On one side, there is a heated room for the fermentation process and on the other side is where the wine and kegs are kept cool at about 60 to 64 degrees,” Griffith said. The winery itself is a log cabin to fit the architecture of the other homes on the farm. The wine tasting room and porch will be where visitors are welcome to drink their wine, they can enjoy the beautiful setting of the vineyard and valley. Without a doubt, there will be walking tours throughout the land to see the grapes, vines and the processes of growing and winemaking. The name for the winery Dove Valley derived from all the birds, especially doves, to be found nesting in the vines. “Out in the vineyard in the early spring, I saw a bird come fluttering out of the branches and realized there are doves all over the vineyard,” Griffith said. She brought the notion of the name to her father and it was deemed so appropriate for the vineyard and winery. “The toughest step of the process has been getting our labels approved,” Griffith adds, “now, we are waiting on them to be printed.” Once the bottles are branded by Dove Valley, the vineyard will be nearly ready to open in just a couple of weeks. “Everyday is an experience for us here and our family is really looking forward to the opening,” Griffith said. Opening in December. Please call before visiting. For more information on Dove Valley and Maryland wine, please log onto www.marylandwine.com/mwa/wineries/dovevalley.shtml. Join us to celebrate the much anticipated arrival of our Porto Rosso Red Port. Aged for 3 years, we're now ready to let the tasting begin! Also, back in stock, Porto Bianco White Port. Specially selected hor d'oeuvres will be chosen to compliment the Ports. Reservations not required. Join us for the release of our brand new sparkling wine, Spumante Secco! Specially selected hor d'oeuvres will be chosen to compliment the Sparkling Wine. Reservations not required. Join us as we sample our new Chardonnay and Pinot Grigio complimented with great sushi by Sumo Sushi in Pennington, NJ. This will certainly be a special treat! Reservations not required. ASK for a glass of “cidre” in Quebec and you will get not the unfermented, unfiltered juice of the apple that cider drinkers in the United States expect, but an alcoholic, sometimes sparkling beverage that can range from sweet to dry. Ask for cider in the Eastern Townships — a sprawling area east of Montreal and south of Quebec City — and you are likely to be served a flute of cidre de glace, or ice cider, an alcoholic beverage made by fermenting the juice of apples that have been left to freeze in the frigid Quebec winter. In local restaurants, it is offered, well chilled, with the cheese or dessert course. 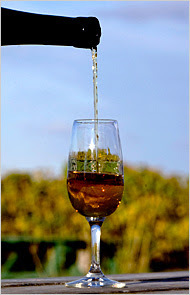 Although there are producers of ice cider outside of the Eastern Townships, there is a de facto “cider trail” concurrent with the well-marked Route des Vins (wine route), which extends from Bedford, Quebec (about 10 miles north of the Vermont border) on the west, north to Farnham and east to Lac-Brome. At least four ice cider makers and five vineyards are clustered around the towns of Dunham and Frelighsburg, just east of Bedford. Clos Saragnat: 100, chemin Richford, Frelighsburg, Quebec; (450) 298-1444; www.saragnat.com, also makes and sells ice wine and aperitifs. Open daily from late May to Thanksgiving, then weekends through December. Ice cider tastings are free; other products cost from 75 Canadian cents to 1.50 Canadian dollars a sample, 82 cents to $1.63 at $1.09 to the Canadian dollar. Domaine Pinnacle: 150, chemin Richford, Frelighsburg; (450) 263-5835; www.domainepinnacle.com. Open daily May through December; tastings are free. Val Caudalies: 4921, rue Principale, Dunham; (450) 295-2333; www.valcaudalies.com. Open Wednesday to Sunday from June to November. Free tastings. Vignoble les Blancs Coteaux: 1046, route 202, Dunham; (450) 295-3503; www.blancscoteaux.com. Also available: wine, ice wine and apple aperitifs. Open daily May through December, and on weekends January through April. Tastings are 50 Canadian cents a sample. I often don’t write from the perspective of an insider, because I have been an outsider, though a somewhat knowledgeable on, for many years. I have always liked giving the tasting counter experience, because it’s what the consumer or other friends might really experience for themselves. I recently had the privilege of touring the cellars of Raphael, in Long Island with Richard Olsen-Harbich. He showed me their extensive caves, and let me taste all manner of wines, from bottled to wine still in barrels. Everything was yummy one from the other. But one thing indeed caught me eye. As far as I know, Raphael makes the only east coast malbec. Malbec is a blending grape from Bordeaux and the surrounding regions. I has been growing alongside its better known counterparts - Cabernet Sauvignon and Merlot for years. There are a great many great houses that use a small percentage of malbec in their assemblages. But the South Americans have found this French bit-player, and made it a star. Argentina and Chile feature no small amount of big wines made with this deep, purpley, jammy grape. These wines offer up bits of plum and dark black berries in huge abundance, but finish dry and smooth. I have written about Raphael’s malbec before. They grow a small amount of it at Raphael for their wine club. Rich allowed me to taste there 2004, 2005, and 2006 malbecs. One was better than the other. Each was bursting with big dark fruits, and were mouthfuls of jam. Vanilla aromas gave the nose a magical effect. the colors were all dark and plummy. Each wine was a great and unique experience. And I cannot crow about these wines enough. The only problem with these wines are that they are made in small supply, and are sold only through their wine club. Personally - I will do what I have to so that I can get my hands on these wines again. Call them, and join their wine clubs now. Find this wine no matter what you can do. Run, don't walk. It’s wonderful. It's excellent. The train was taking forever. I had gotten on at Penn Station and was getting off in Hudson, NY. The train ride seemed to take forever since the cabin temperature was set to broil. I was dying. On top of it, we had gotten sidetracked because of late trains coming the other way. And when the train finally let out at the Hudson station I was 40 minutes late. Needless to say I was less than generous with slow driving locals who were impeding my way to see my wife and kids and the dogs. Finally I was home. And my wife had prepared for me a lovely meal of grilled kolbasi, fresh peas and campanella pasta all tossed with butter and cheese and salt and pepper. We needed a nice wine to celebrate my long journey to my family. Amonst the many bottles lay one I had not yet tried and Dominique, my long suffering wife, was willing to give it a try. Sakonnet Rhode Island Red 2004. It comes in a burgundy style bottle with a cool label. The wine looked lighter in the bottle than when it poured. It had a deep ruby color and silky tannins. The blueberry and boysenberry, violet and lilac, all came through, as well as a touch of oak. It was a much more serious wine than we suspected. Dominique was impressed, and she's a much harsher critic than I. 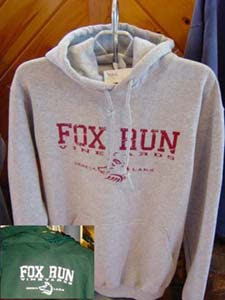 The label was created by a team of artists from the Rhode Island School of Design's Graphic Design Graduate Student Studio. Needless to sa, it was an excellent accompaniment to our rustic little dish and homecoming, and we downed the bottle happily. This is the story of two cabernet francs. Cabernet Franc is becoming more and more popular in the United States a an alternative deep red varietal. One of my favorites was the Neibaum-Coppola Cabernet Franc which I have long favored. But many east coat wineries have taken the plunge into the cab franc pool - and with great success. The two which gained the most notable recognition early on were Schnider of Long Iland and Millbrook of the Hudson River Valley. Other eat coat success’s were tasted from Raphael in Long Island, and several others. Two I recently tasted were quite exceptional. 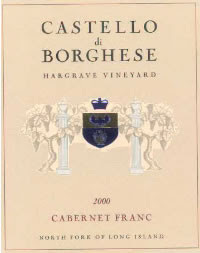 The first was Castello di Borghese’s 2003 Cabernet Franc. Castello di Borghese, in Long Island, is a venerable, even historic house. It is what remains of Louise and Alex Hargraves winery and vineyards, which were the first on Long Island. The Borghese cabernet franc were a brilliant wine. A clear, bright ruby against a strong light, the wine burst forward with cherries, a touch of plum, and some vanilla. It was fruity up front, but finished dry and fabulous. It was an elegant wine, as one expects from a venerable Long Island house. The other wine was a pleasant surprise,, although someone as experienced as Howard Goldberg, my venerable friend from the New York Times, might not be so shocked. Tomasello is a larger winery, and is mostly known by the public for the large amount of jug wines they sell, as well as large, inexpensive wines many people use for entertaining large crowds. However, Howard has always been good about citing Tomasello’s other side, a small line of high end wines, meant for a more discerning pallet. This of course is the well documented Atlantic County series of wines. Packaged in dark bottles, with black labels, highlighted by a painting of a Jersey shore scene, Thi series is an accomplishment. And out of this series I plucked, from my local Wegman’s in Freehold, NJ, a cabernet franc. It's made from 100% Atlantic County New Jersey Cabernet Franc grapes. There is some rose petal in the nose. This Cab Franc spend six months in second year air-dried American oak casks which affords it a light oaky character as well as the roundness accomplished by barrel aging. It was different in many ways, which is what makes the world go round, and why people bet on horses. It couldn’t have been more different yet just as lovely. The wine was much darker and more opaque than then the Borghese. Plums and dark cherries were set off by an intense vanilla taste. The wine was rich and dry, and lovely. Try either of these wines, and you’ll be pleasantly surprised. local charm. It’s our goal to echo the same warm welcoming environment that Queen Catharine herself was noted for. Donald and Jessica Kilcoyne are the owners. They met in college and dreamed someday of owning a winery. Eventually, they found their way to the finger lakes and bought 35 acres. Thankfully, their purchase included eight acres of productive vineyards. 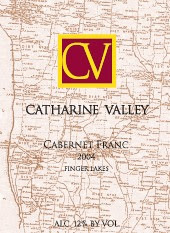 Catharine Valley Winery, is located on the east side of Seneca Lake, a few miles north of Watkins Glen. Don and Jessica delved into the local history with visits to the Schuyler County Historical Society. "We liked the name of the region," says Jessica, referring to how they came up with the name for the winery. The name pays tribute to the land nourished by Catharine Creek, winding its way from Pine Valley, through Montour Falls and emptying into Seneca Lake at Watkins Glen. "The 2002 Traminette has a spicy, full-fruit nose. A cousin to gewurztraminer, it has delightful, spicy flavor with a very smooth finish." "The 2002 Riesling is lighter-bodied than several others from the Finger Lakes. It is a semidry wine that starts with a peach taste and finishes with the taste of green apples." "The Lost Irishman is a sweet, smooth Catawba wine made from the Catawba grapes already producing on four acres of the Kilcoyne's land. They have planted pinot gris, merlot and cabernet franc grapes, and Don and Jessica plan to next plant grapes for traminette, gewurztraminer and Riesling." Their emphasis will be on Alsatian-style wines. "They tend to be drier, bigger and yummy," Don told Jeff. The Lost Irishman is one of their most popular wines. And by all accounts its a fun sipping wine. Congrats to Don and Jessica! Stop by and see their on your way around the Finger Lakes. A wonderful find! NEW YORK WINES & DINES is winding down is New York City , and gearing up in Albany for the month of November. For the past month, over 70 top restaurants and 20 fine wine shops in the Big Apple have been featuring New York wines, along with New York foods in the restaurants. This week, the Capitol District embraces our “Eat Local. Drink Local. Think Local.” theme, with 17 restaurants and 28 wine shops putting New York front and center. A great example of doing it right is Reds restaurant in West Coxsackie, which has a page of “New York Wines & Dines” Featured Specials with appetizers, entrees, and desserts listing the farms where the ingredients come from along with New York wines by the glass including a brief description of the winery. They get it! The big event in November (10 & 11) is the Pride of New York Harvest Fest at the Desmond which showcases over 90 agricultural producers including 45 wineries in a “farmers’ market” setting where consumers can buy the products right there, just in time for the holidays. All the information about the Albany New York Wines & Dines program is at www.newyorkwinesanddines.org starting this Wednesday, October 31. Learn about wine, taste samples of our 2006 vintages, listen to live music, and much more! There will also be hayrides for the kids, complimentary light fare, and a preview of holiday gift ideas. A $6 fee includes a logo wine glass. $5 per person. For reservations, contact the winery directly at 724-439-3424. Ticket price is refundable up to 48 hours prior to the event. Ticket prices include tax and gratuity. View on national television on The Style Network in the destination wedding series "Married Away" Tuesday Ocotober 16 at 9PM. 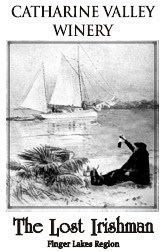 "Married Away " features unique and exotic locations all around the world. Crossing Vineyards was chosen as the venue for the rehearsal dinner. October 19 Crossing Vineyards Wine Tasting for "Singles"
October 20, 2007 6 p.m.
Who done it? You be the judge as the winery presents this popular interactive murder mystery. The evening includes complimentary wine tasting of your favorites from the award-winning Christian W. Klay collection and a delicious buffet dinner. $36 per person, plus tax. For more information call 717-235-6281. October 27, 2007 6 p.m.
November 10, 2007 6 p.m. Select Pennsylvania Wineries will be featured. December 1, 2007 11 a.m. – 4 p.m.
Watch the sun set over the vineyard. Stop in and enjoy a glass of wine or tasting; take a bottle of wine home for the weekend along with local bread and cheese, musicians are welcome. Tour the winery as it’s in action making wine, watch the harvest. Try to identify the wine with the correct grape or get really involved and jump in for picking, and stay for lunch. Call for details. Live music, grape stomping contest with prizes and tours of the vineyard & winery. Experience the Elk Run Harvest with hay rides, crafts, tours and tastings. Local breads and cheese are for sale. Part of a 12 Farm County Tour. Join us for a bon-fire and pot luck celebration of harvest. Elk Run provides the beast and the wine. Invitation only. In Annapolis, Maryland, in early September, Governor Martin O’Malley awarded Robert Deford, owner and manager of Boordy Vineyards and winner of Maryland’s 2007 wine competition, with the Governor’s Cup for their 2006 Vidal Blanc. During his remarks, Governor O’Malley discussed the importance of the wine industry for the State’s economy, vowed his strong commitment to supporting the growing industry, and promoted Maryland’s annual wine festival, held September 15-16, 2007 in Carroll County. The Governor’s Cup has been awarded since 1991 when William Donald Schaefer endorsed the annual recognition for Maryland wines. The competition is sponsored by the Maryland Wineries Association and is judged by a panel of experts. The wine receiving the highest overall score wins the Governor’s Cup. “The Boordy Vineyards Vidal Blanc represents all that is great about Maryland wine – a beautiful wine made from Maryland-grown grapes,” said Kevin Atticks, Executive Director of the Maryland Winery Association. To date, there are 26 wineries licensed in Maryland, and each year more continue to open. Last year alone, annual sales of Maryland wine was approximately $10.6 million with approximately 968,000 bottles sold. Maryland’s wineries grow most of the grapes in the state, comprising 120 acres of vineyards. Maryland grape growers harvest an average of 800 tons a year, and there are more than 450 acres of grapevines planted in Maryland. “The Governor's comments speak to the support of the State of Maryland in our effort to expand vineyard acreage, and keep land preserved in agriculture for generations to come,” said Atticks. “It is important to highlight the high-quality Maryland grapes that go into our award-winning wines,” said Kevin Atticks. 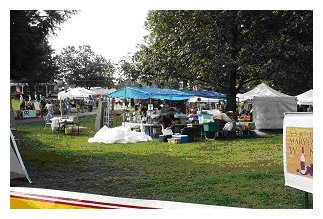 The Maryland Wine Festival is in its 23rd year of celebration and is held at the Carroll County Farm in Westminster, Maryland. Festival goers can sample various Maryland wines, attend Wine Education Seminars, enjoy on-stage entertainment, and tour the Carroll County Farm Museum, artisan exhibits and demonstrations. Boordy Vineyards, the oldest winery in the state, has been owned by the R.B. Deford family and is located on their historic 240 acre farm in the Long Green Valley of northeastern Baltimore County. Robert Deford, an enologist, manages and owns Boordy with his wife, Julie. CONGRATULATIONS to Thirsty Owl Wine Company on Cayuga Lake for winning our Governor’s Cup with its 2006 Dry Riesling; and to Red Barn Winery near Syracuse for winning Winery of the Year accolades at the 2007 New York Wine & Food Classic in Napa , CA . After a day and a half of swirling, sniffing, sipping and spitting, 24 expert judges ultimately rated Thirsty Owl’s Dry Riesling as the best of 790 New York wines entered, with other “Best of Category” wines including Swedish Hill Spumante Blush, Barrington Cellars 2006 Buzzard’s Blush, Pindar Vineyards 2005 Cabernet Franc, and Mazza Chautauqua Cellars 2005 Ice Wine of Vidal Blanc. In the “Specialty Wine” category, which includes non-grape fruit wines, meads, and other products, Red Barn’s 2006 Raspberry Wine took top honors, with its “Pauley’s Port” (made from Concord) also taking a Best of Class award, its Blueberry wine a Gold, along with several other medals for both grape and fruit wines. Other top contenders for Winery of the Year, which is based on the number and levels of medals, included (in order) Swedish Hill, Fox Run, Thirsty Owl, and Chateau LaFayette Reneau. Due to the increasing numbers of “specialty” wines and wineries, starting next year a new category will be created to recognize quality in those products, but the Winery of the Year award will be based on grape wines (since they are still over 95% of our industry’s production and consumption). Not surprisingly, the top winners started getting calls as soon as the results were posted on our web site, with one large Buffalo retailer immediately ordering 15 cases of the Thirsty Owl Dry Riesling. Many thanks to Teresa Knapp for doing a great job organizing the competition, the entire back room staff, our 24 terrific judges, and Peter Marks of Copia for being such a great and generous host. Next year’s Classic will return to New York State , with the exact location to be determined. Congratulation to all the winners. Full results are available at www.newyorkwines.org under “What’s New”. Billsboro Winery Enjoys Second Birth! BILLSBORO WINERY on the west side of Seneca Lake is one of New York ’s newest wineries, enjoying a second birth under the ownership of Vinny and Kim Aliperti. 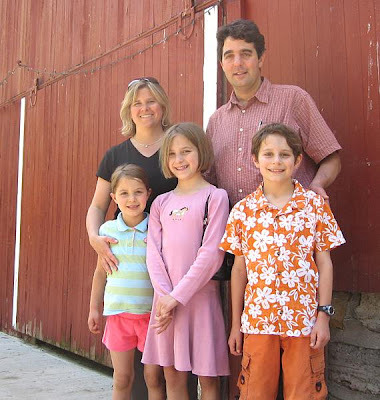 Vinny (seen here with wife Kim and family) is head winemaker at the award-winning Atwater Estate Winery on the southeast end of Seneca Lake. His creations there are something quite special. And now he is now making his own wines as well. They include a Pinot Noir, Cabernet Franc and Cabernet Sauvignon and, on the white side, Pinot Gris, Riesling and Chardonnay along with a “House White” made from Vidal and Cayuga. The winery is in a restored 19th Century barn just south of Geneva , and features local artisanal breads, cheeses and meats. Go visit the Alipertis and have some fun at a family owned and operated winery, and enjoy some wonderful wines. “BET THE FARM” is the unusual name for an unusual new winery in Aurora , on the east side of Cayuga Lake , that is devoted to “local”. Owner and winemaker Nancy Tisch began with the concept of selling local foods and wines together (I remember that phone call years ago), which is only do-able if you are licensed as a farm winery. So she undertook the long and arduous licensing process, makes the wine at a nearby winery, and has the tasting room on Main St. in Aurora , home of Wells College . In addition to her own wine, she sells other local wines along with an assortment of local foods. For more information, visit www.betthefarmny.com. The Maryland Wine Festival® Sept 15-16 at the Carroll County Farm Museum in Westminster! The Maryland Wine Festival®, now in its 24th year, is evolving to benefit MD wine lovers. • Expanded grounds – more space! This is one of Dominique's and mine favorite wine festivals. The wines are great, the food is fun, and the weather...well, it doesn't matter. We never had a bad time even for all the times we went. Jonathan Edwards is blazing new territory - the same one the pioneers blazed more than a century ago. He's going transcontinental. A wine maker who came of age as a winemaker in Napa,California, Edwards' New Stonington Connecticut winery sells wines made with estate fruits as well as with fruits Edwards carefuly monitors in California. Edwards' has long term contracts in California. He leverages this kind of commitment with a demand for quality - a quality he tries to oversee himself. During harvest season his grapes are hand picked under Edwards direct supervision. Their transition into wine happens immediately in California. The young wine is then brought to Connecticut in refrigerated trucks to begin 12-18 months of barrel aging and bottling. Meanwhile, back in Connecticut, Edwards has selected varietals that flourish to their optimum in the unique New England coastal climate. These grapes are also harvested by hand. Edwards' customers often participate! The place itself is gorgeous. 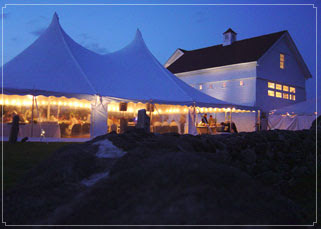 It is easilly one of the prettiest in New England, and is perfect for weddings and events. The interiors are painted with warm, buttery yellows trimmed in creame and lined with slate and natural woods. The extrior is classic New England white barns. The vineyards are botanical garden perfect. The effects are dazzling. But what about the wines. Ah, yes. Now, for purists, the California wine connection might seem a little spurious. But Edwards has strong ties to California - so it's not a ploy. Edwards California wines are very good. HIs Chardonnay is very fine and lovely. And the rest of the west coast menu is mostly big and robust reds. Merlot, Zinfandel, Cabernet Sauvignon, Syrah, and Petite Syrah top the list. The Syrah is one of the most intense syrahs i have ever had, with a nose full of cherries and plums and vanilla. It's all berry up front, but this is a big wine and it finishes bone dry. Exceptional! Edwards also offers a Connecticut estate Chardonnay (also very nice) and Gewürztraminer. HIs Cabernet Franc was exceptional, and is easilly one of the better Cabernet Franc in New England, and probably on the east coast. A Sunday drive to the Stonington back country, to Jonathan Edwards is defintely a winemaker to watch. And his winery is well worth the trip - a treat for all five senses. Enjoy! Newport Vineyard’s 2006 Pinot Grigio was recently selected as the 2007 Best Rhode Island wine and earned a Silver medal in the Big E Northeast Gold Wine Competition. Winning wines will participate in various venues during the 2007 Big E, Sept. 14 through 30. Travel + Leisure's wine and spirits editor cites state's wineries, authentic cuisine and accommodations as factors that make Virginia the only American destination named. Virginia is one of the top five new wine travel destinations in the world, according to the July issue of Travel + Leisure magazine. Virginia was the only American region to be featured in the Wine-Lover's Guide: 5 Wine Regions to Visit Now article, highlighting some of globe's hottest new wine destinations. Written by Bruce Schoenfeld, the magazine's wine editor and former contributing editor for Wine Spectator, the article features Virginia, as well as regions in the renowned wine-producing countries of Italy, Spain, Chile and New Zealand, as five new destinations for travelers who are passionate about wine, food and new experiences. "If you're a wine lover, you are going to love going to Virginia's wineries," said Bruce Schoenfeld, wine and spirits editor of Travel + Leisure. "It's not just the wineries but also new restaurants, B&Bs and inns that make Virginia such a great destination. Virginia is democratizing the wine experience -- anyone can go to a Virginia winery and feel comfortable while trying exciting wines." Schoenfeld's article highlights Virginia's largest wine regions in Central and Northern Virginia. Barboursville Vineyards, Breaux Vineyards, and Linden Vineyards are featured as wineries to visit. Boar's Head Inn, 1804 Inn & Vineyard Cottage, Grandale Farm Restaurant, Inn at Little Washington, and Palladio are touted as cuisine and accommodation destinations. "This article captures the essence of wine travel in Virginia," said Alisa Bailey, president and CEO of the Virginia Tourism Corporation. "Our wineries stretch across the state and are surrounded by unique places to enjoy local cuisine and excellent lodging choices. Virginia is one of the only wine destinations that offers a kayak trip to a winery or combines bluegrass with wine tastings. It's these unique experiences that are drawing more and more wine lovers to Virginia." Virginia is home to 130 wineries and is fifth in the nation for number of wine producers. Wine tourism is so big that the state designates October as Virginia Wine Month each year and celebrates with special events, tastings and tours. Virginia's picturesque wine trails make visiting wineries easy and fun. Virginia wineries that are open to the public are marked from the road with a designated Virginia Wine Tour road sign. Summer is an excellent time to visit Virginia wineries for tastings and special events. In August alone there are more than 50 concerts, special tastings and celebrations at Virginia wineries across the state including the Beach Party Wine Festival at James River Cellars just north of Richmond, Blackberry Days Wine Festival at Tarara Winery in Northern Virginia, or the Black Dog Wine and Music Festival at Chateau Morrisette in Southwest Virginia. For more information about Virginia's wineries and to start planning a visit, go to www.Virginia.org/wine or call 1-800-932-5827 to request a 2007 Virginia Travel Guide. Pindar Vineyards 2005 Johannisberg Riesling Ice Wine from Long Island took “Best of Show” honors at the recent New York State Fair Commercial Wine Competition. The Best of Category Awards went to Fox Run 2006 Riesling (white wine), Knapp 2005 Cabernet Franc (red), Chateau Frank 2000 Blanc de Noirs (sparkling), Torrey Ridge Scarlet Red (fruit),Atwater 2005 Celsius Chardonnay (dessert—shared with Pindar’s Ice Wine), Penguin Bay 2006 Rosé of Chamourcin (rosé/blush), and Goose Watch Classic Cream Sherry (fortified). All of the Best of Category were “Double Gold” medal winners, joined by Fox Run 2005 Dry Riesling, Glenora 2006 Pinot Blanc, Goose Watch Diamond, Knapp Superstition, Ospreys Dominion 2006 Gewurztraminer, Rooster Hill 2006 Traminette, Ventosa 2004 Merlot and 2003/2005 Pinot Noir. Long Island wines recently got some nice press in the Los Angeles Times, where a tasting panel explored some wines of a few “other” states— Arizona , New York , and Texas —that often received high marks. The New York selection was all from Long Island , which is best known for Merlot and Chardonnay, but the panel was particularly struck with Cabernet Franc and Sauvignon Blanc. Among the panels favorite Long Island wines were three from Wolffer Estate, two each from Lenz and Paumanok, and one each from Channing Daughters, Jamesport, and Shinn Estate. In Canada there is a new type of cider they've been drinking for some time - iced cider. It is an ice wine made from apples and it is stupendous. I have reviewed one of them before. 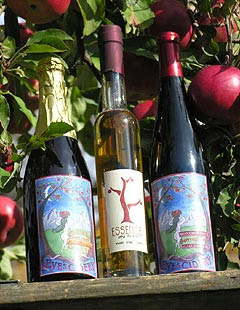 But now, for the first time, an American winery is now making ice cider - Eve's Cidery, in Ithaca, New York. An it is an excellent iced cider. 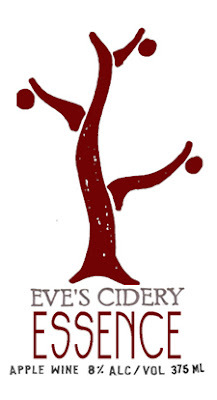 Eve's Cidery is a small orchard and cidery nestled in the hills of the Finger Lakes region of New York State. They produe excellent ciders made with traditional cider apple varieties of English, French, and American origin. According to Eve's, "At Eve’s Cidery we strive to be part of the small but growing bunch of artisan cider makers who are reviving this essential orchardists craft by producing beverages from distinct varieties and allowing for expression of vintage and terrior....Essence is an ice cider or intensified cider. We make it by allowing late harvest juice to freeze partially. As the juice freezes the water is separated out and the remaining juice is concentrated with high brix and intense flavors. Although ice ciders are wildly popular in Quebec and other parts of Canada, the Bureau of Alcohol in this country doesn’t have an ice cider category, yet." Kathie Williams wrote in the Ithaca Journal, "Owner and operator of Eve's Cidery, the area's newest winery, Autumn Stoscheck, also an employee of Littletree Orchards and former agricultural student at Cornell University, said that while the business is not part of the orchards, she has had the idea of a cidery for several years." "Every orchardist tends to have a barrel of hard cider in the back," Stoscheck said. "She traveled to England where cider is a beverage category. While there, Stoscheck visited several cideries, took a class in processing cider and got so inspired that she cane back and decided she wanted to open her own cidery. Since the various ciders include alcohol, she also had to apply for a state liquor license, a process which took a year," wrote Williams. As promised Essence delivers honey, caramel, apricot jam and juicy apples. And it is wonderfully tart. This ice cider is impressive as dessert itself. It also goes great with numerous things, like Stilton cheese and some apples, a creme brulee, biscotti or homemade cinnamon doughnuts. Dominique and I were entertaining some guests in up state New York. The sun was out and the weather was beautiful. We made kabobs with organic beef bred and grown around the corner from our farm, skewered with onion, pepper, and organic mushrooms. We also had fresh Jersey (the tomatoes not yet being ready). Afterwards, Dom served a raspberry-blueberry cobbler with vanilla ice cream. The dessert was superb, as the warm sn shone down upon us. And the wine went wonderfully. I bought my bottle from a young woman at the Union Square Farmer's Market. You can buy one at he following places.